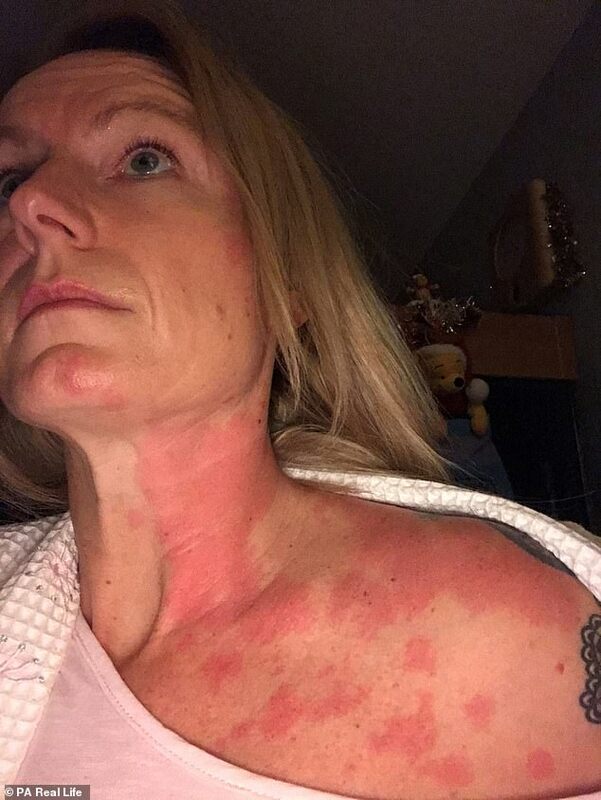 A mother-of-three and self-proclaimed ‘party animal’ has cut down on booze because it left her with a burn-like rash and breathing problems. 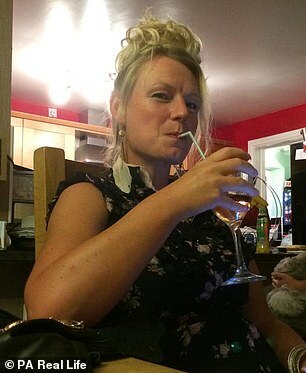 Cass Bowman, 42, would drink an average of ten drinks on a night out – a mix of spirits, cider and lager. 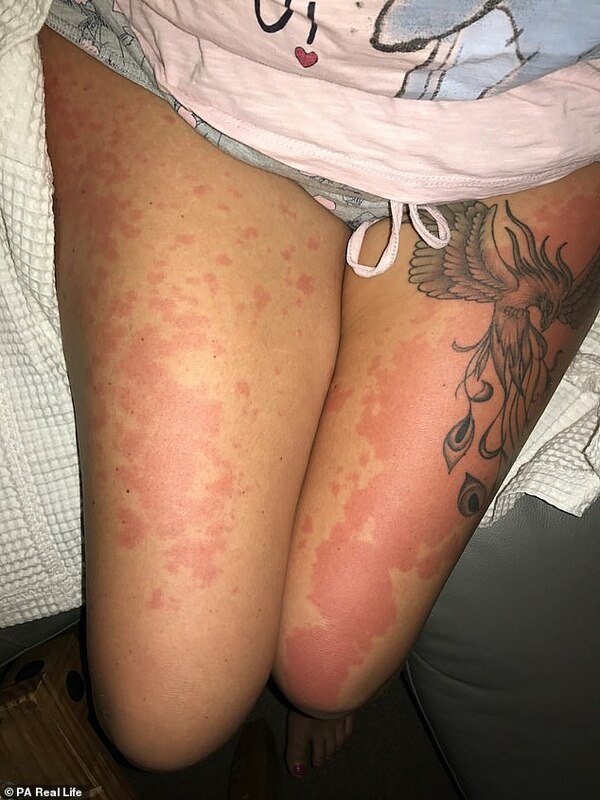 But she began to suffer a mysterious reaction all over her body that would see her skin become red and blotchy as though she had been ‘scalded’. 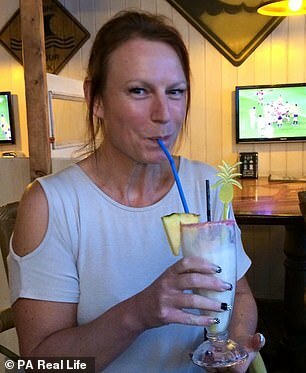 Now, she is a fitness fanatic, running up to 18miles (30km) a week since regaining her health – but she fears she will have to give up alcohol altogether if her reactions ever return. Mrs Bowman, who has three children, Alex, 18, Oliver, 17 and Ellisia, 13, loved nothing more than to hit the town throughout the week with her friends through her 20s and 30s. 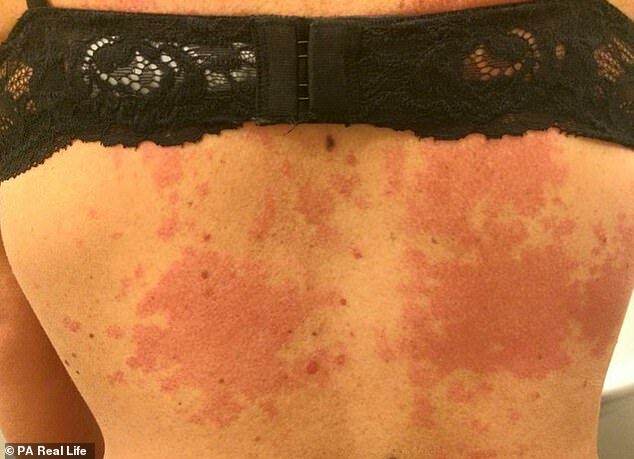 When she first saw her skin flared up in mysterious red patterns eight years ago, in 2011, she didn’t link it to her drinking. Mrs Bowman noticed that she’d start to feel warm on the top half of her body and legs. 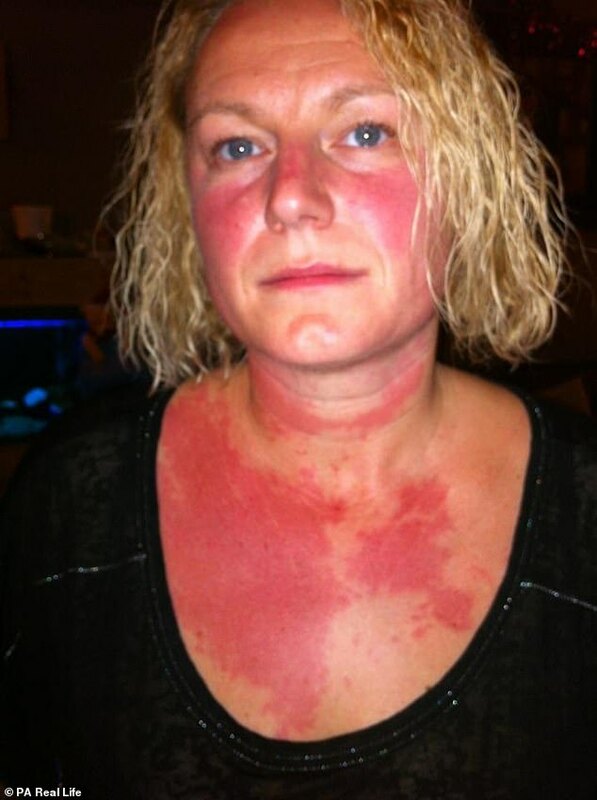 She wasn’t especially worried, until odd marks soon began to spring up on her skin all over her body, including her face. 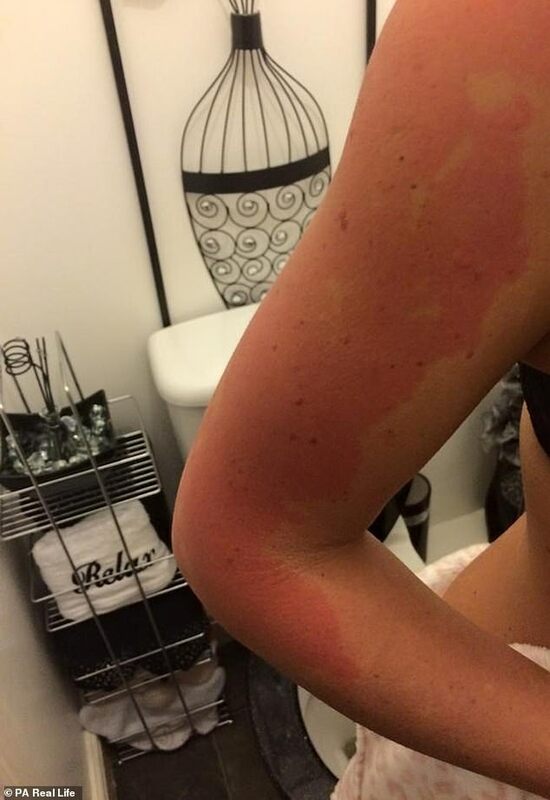 Mrs Bowen said: ‘It was almost like a burn. My skin wouldn’t be raised, like it would with a rash, but it’d be hot to touch and feel sensitive for days afterwards. ‘Putting cold water on it wouldn’t help, as it just heated up. 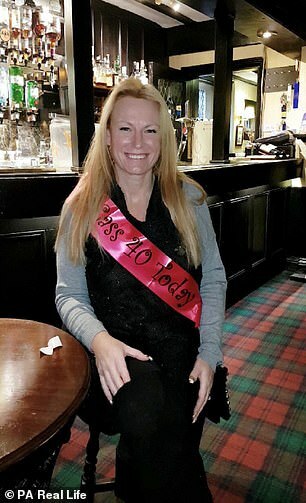 At first, Mrs Bowen, who is married to Stuart, 45, admitted that she didn’t put two and two together, assuming the reaction was down to skin products or washing powder she was using. Alcohol intolerance can cause immediate, uncomfortable reactions after you drink alcohol. Alcohol intolerance is caused by a genetic condition in which the body can’t break down alcohol efficiently. This is most often found in Asians, people with asthma or hay fever (allergic rhinitis), people with an allergy to grains or to another food, or people with Hodgkin’s lymphoma. Although not a true allergy, in some cases, what seems to be alcohol intolerance may be your reaction to something in an alcoholic beverage. These include sulfites or other preservatives, chemicals, grains or other ingredients or histamine, a byproduct of fermentation or brewing. But, when it didn’t stop even after she changed products, she started keeping a closer eye on what exactly set her off. It took a few months for her to realise it only ever happened when she had been drinking. An allergy involves the immune system, while an intolerance, which is more common, tends to cause mainly digestive problems. The two have similar symptoms. Mrs Bowen said: ‘I know it might sound silly, but it was such a big part of my life then – it was how I socialised with my friends. I worried I would lose all of that, so I tried to just press on and put up with it. But then, around two years later, Mrs Bowen began to also experience shortness of breath, which would come on immediately after the rash and affect her for a few hours afterwards. At her worst, she said she even struggled to speak properly. Again, she sought medical help and a different doctor prescribed anti-histamines to help calm the reaction whenever she suffered a flare-up. Though the NHS recommends avoiding alcohol whilst taking anti-histamines as it can make you feel sleepy, Mrs Bowen took non-drowsy tablets, and so said she did not have any adverse effects. 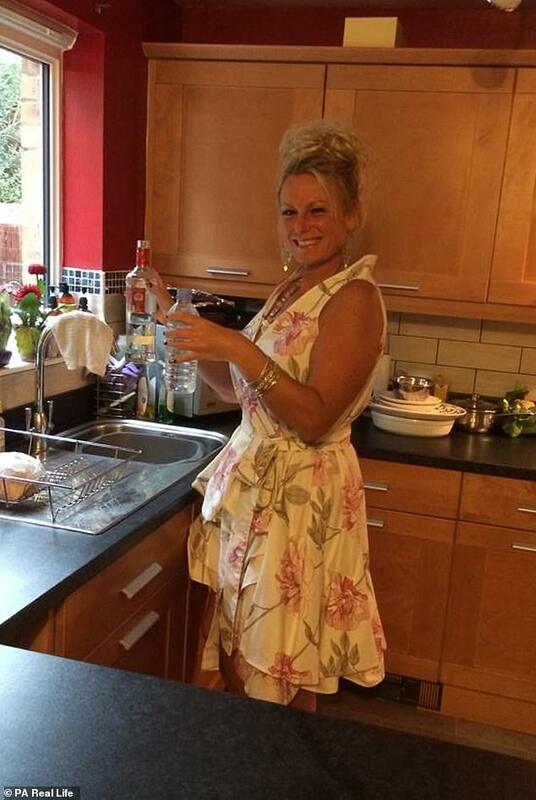 In 2014 she decided to quit booze, only occasionally having some vodka or gin on a weekend. 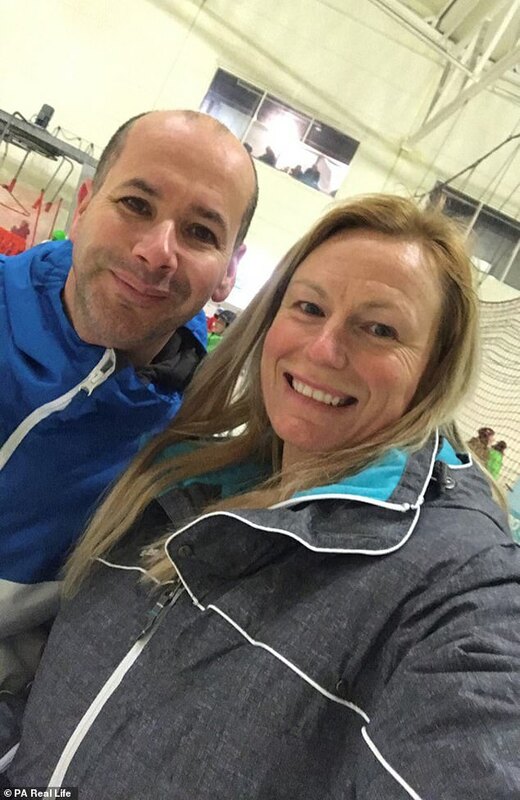 For the past year, Mrs Bowen has not had an allergic reaction – which she believes is down to both drinking less and exercising much more. She said: ‘Now, I’ve cut right back to only having a few vodkas or gins every so often. ‘That seems to have done the trick for now, but if this comes back and makes my breathing worse, I’ll have no choice but to quit drinking altogether. 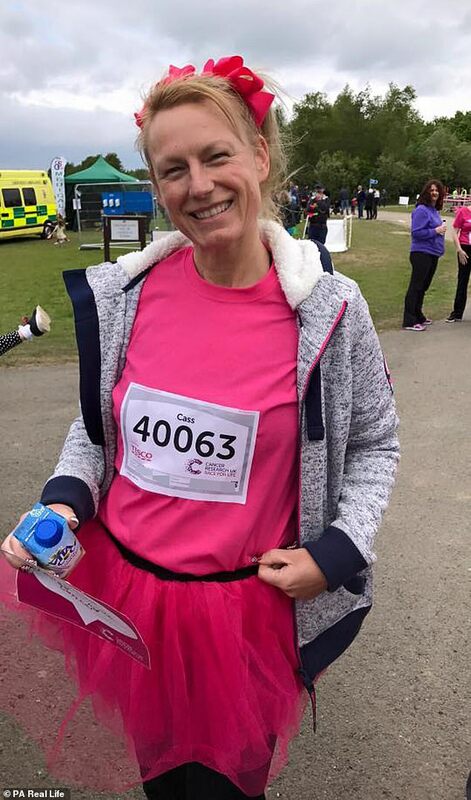 After a hip injury during a Zumba class in 2012, Mrs Bowen took up running, recommended by her physiotherapist. It became her hobby – Mrs Bowen now runs six miles (10km) at least three times a week, getting up at 5:30am to do so. 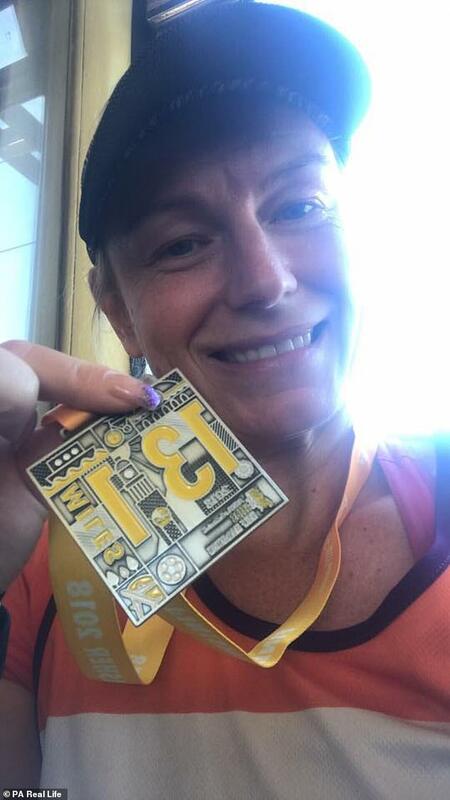 She has completed two half-marathons – with three more planned for 2019 – as well as a 10km and several 5km races. Mrs Bowen is sharing her story to encourage others struggling with painful reactions to seek medical help. She said: ‘My reactions were so unpredictable. I wouldn’t get them every time I drank, but they could come on out of nowhere – especially if I’d had a drink a couple of nights in a row. ‘Now, though, I’m feeling much healthier and really hope that’s the end of it. ‘Of course, if I have another, and my breathing is still affected, I will have no choice but to give up alcohol completely. Abbas Kanani, pharmacist at Chemist Click, said: ‘If you are experiencing symptoms such as wheezing, sneezing, coughing, itchy skin or feeling sick when you drink small amounts of alcohol, my advice would be to get an allergy test. ‘Explain your symptoms to your GP who can organise this for you. In the meantime, it’s best to avoid alcoholic beverages altogether, as there is a possibility that they could cause a severe reaction which can be quite serious.